Along the paths of the Pangani Forest Exploration Trail is a sheltered savanna view that overlooks two different creatures. The gerenuks and meerkats that live life on these grasslands give guests an up close and personal view of their natural niches and behaviors. The communal conduct of the meerkats is not only intriguing to guests at Disney’s Animal Kingdom, but the creatures are so fascinating that they warranted their own show on Animal Planet named Meerkat Manor. While the graceful gazelles and mindful meerkats are fascinating in their own rights, they are not what brings us to this Pangani hut. The real reason for the visit is a small table off to one side of the shelter which features a pair of skulls. One, a meerkat, and the other, a warthog. 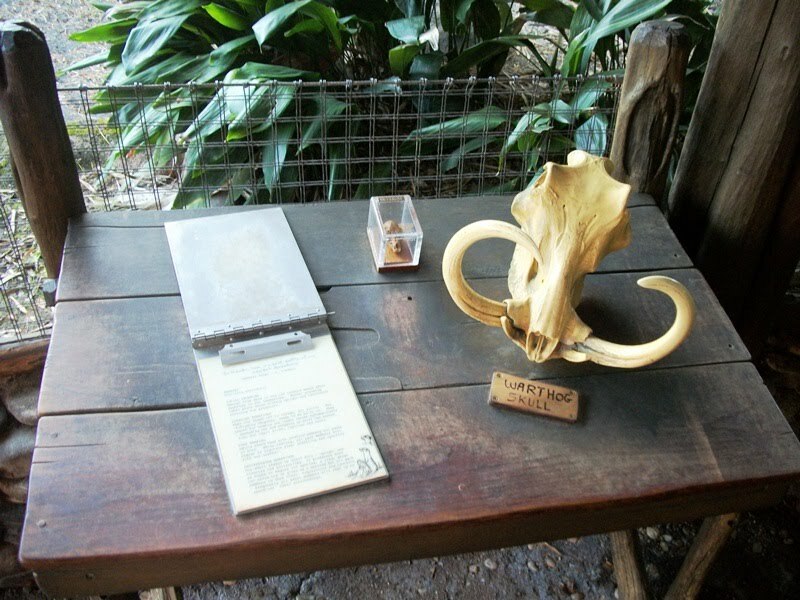 Warthogs can be found in Harambe, on the Kilimanjaro Safaris, but are not indigenous to the Pangani Forest Exploration Trail. So, why would these two skulls be placed on this display together? Is it to show the comparative sizes of the skulls? No. Is it to highlight the distinct characteristics of the skulls? No. Is it a subtle hint for guests to break into song? Absolutely! A meerkat and a warthog sung one of the greatest hits in the Disney songbook. Obviously, these remains have been left here to remind us of the Hakuna Matata duo, Timon and Pumbaa.